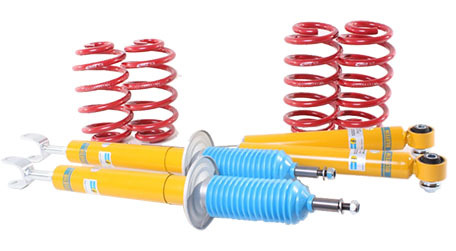 Bilstein B12 suspension kits are the ultimate suspension upgrade if you are looking for a simple bolt on solution which offers great handling, and maintains great ride quality. 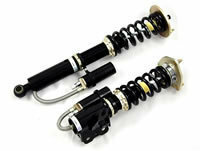 The joint venture between suspension giants Eibach and Bilstein has resulted in the B12 Pro-kit and B12 Sportline Kits. The Sportline equipped kits include the same awesome Bilstein B8 dampers but with the Eibach Sportline springs for a lower stance and firmer ride. These matched, performance spring and damper packages cover a vast range of makes and models for outstanding road holding and ride quality.